One of the best ways to encourage a child’s interest in reading and writing is to introduce them to an author. From finding the idea – through the agony of revisions to the thrill of publication – an author can provide special insights into every step of the creative process. And who knows? – they may even inspire the budding writers in your classroom to follow their dreams! Nothing puts the spotlight on literacy quite like bringing a working author to your classroom. 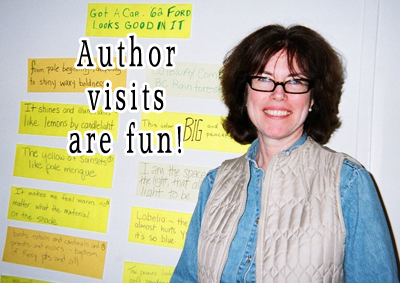 Invite an author to visit today!